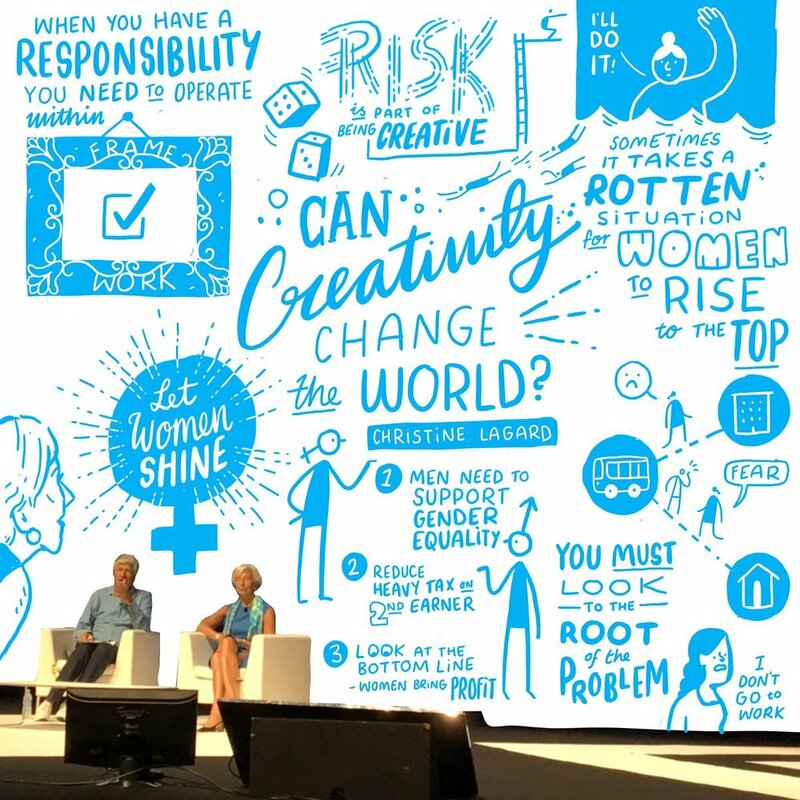 Our creative directors, Dan and Chris, and our scribe, Lauren, spent the week of Cannes Lions Festival of Creativity running between venues, iPads in hands, digitally scribing a whole host of thought-provoking debates and talks. The BBC New Gen storytelling debate with Reggie Yates, Benjamin Zand, Dominique Delport and Richard Pattinson was a highlight, exploring new rules of content creation, from virtual reality to brand consistency. And Christine Lagarde's talk went down a storm on social media, too, as she spoke about empowering women and changing the world through creativity. To find out more about what we were up to at Cannes, check out our journal post.